When most administrators create a virtual machine, one consideration they have to give other than the size of the hard disk is weather they want to have the virtual disk to be fixed size or dynamically expanding. In this article we will examine the characterstics of both fixed and dynamically expanding virtual disks, note that what kind of virtualization platform such as VMWare, Hyper-V, Citrix Xenserver etc you use is irrespective, the pros and cons of the vhds or vdks are the same across the board. So let us examine as to fixed size virtual disks compared to dynamically expanding ones. What are fixed size virtual disks ? A fixed disk is created while creating a virtual machine in any virtualization platform (VMWare, Microsoft HyperV, Citrix Xenserver or even Virtualbox) or adding an extra disk to an existing virtual machine. In a fixed disk, the disk is given a maximum capacity size, this is the total capacity that is seen from inside the operating system. On the Host (the hypervisor that hosts the guest virtual machine that has the virtual disk) a virtual disk file is created, this may have a .vmdk file extension in VMWare or .vdk in Microsoft HyperV, the actual size of this file at the time of creation is the same as what you allocated the disk capacity to be, it remains constant and it does not expand or shrink. What are dynamic virtual disks ? 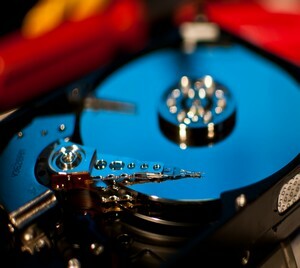 Dynamic disks are also created at the time of virtual machine creation or adding a disk to the vm. The big difference is that the vmdk or vdk files that are created are not the same size as the capacity you allocate to the virtual disk. The files expand in size as they are utilized and consumed, so if there is only 20 GB filesystem used out of a total 40 GB, the virtual disk file may not be a complete 40 GB in size. The only advantage of a dynamic virtual disk over a fixed virtual disk is that if you are running mutliple virtual machines, but not completely using all their hard disk capacity and maybe are conservative on your SAN or NAS storage, then you can take advantage of the fact that you will be have more virtual machines in the same limited amount of storage capacity that the host has (via its SAN or NAS infrastructure). This is why the principal of thin provisioning is a very interesting one in modern day virtualization infrastructure.